GENEVA – The push for a tax on sugary drinks has become stronger, as the World Health Organization has come out to support the tax. On October 11th the World Health Organization issued a new report calling for an international implementation of a tax on sugar sweetened beverages in order to help reduce the occurrence of obesity, diabetes, and other diet related illnesses. 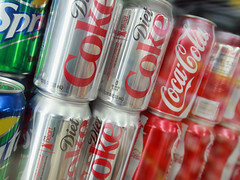 It was claimed that any tax measures which result in the price of sugary drinks rising by at least 20 percent would lead to a proportional decrease in the consumption of “free sugars”. The reduction in the consumption of “free sugars” would lead to a reduced caloric consumption, improved nutrition, and, subsequently, lowered levels of obesity, diabetes, and tooth decay. It was noted that consumption of “free sugars” is a major factor in today’s health problems, and tax measures aimed at curbing such consumption could decrease healthcare costs and tax revenues worldwide. It is currently estimated that approximately 42 million children under the age of 5 around the world are overweight, an increase of 11 million over the last 15 years.